As things stand, the Inspector concludes that the council is not meeting its 5 year housing land supply – this is dangerous as it weakens the ability of the council to turn down planning applications that would otherwise be inappropriate development. Bramcote has already suffered from this in the recent past with regards to the planning application for the former Golf Course. She suggests an increase in the number of windfall sites to rectify the shortfall – but makes no comment on the reasonableness of the overall housing target of 6150 over the whole plan period of 1014- 2028. 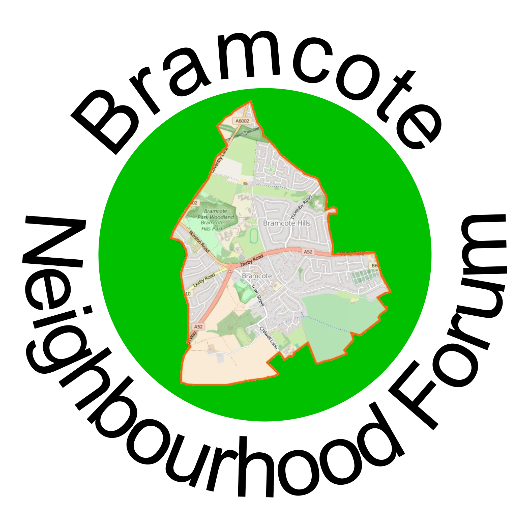 The Bramcote Neighbourhood Forum will continue to liaise with the Council as we move closer to submitting our Neighbourhood Plan to the council however the long delay in finalising the Local Plan is most disappointing. Let’s hope people remember which Councillors supported the Part 2 local plan which put forward more greenbelt for development. As I have said in the past when people knock on your door during the run up to the election ask them how they voted. In Stapleford I was the only Councillor who voted against it whilst Councillor Chris Rice and Councillor John McGrath both abstained. Cannot comment on the situation in Stapleford. However Bramcote was face with losing some green belt to raise funds to pay for a replacement school building. This was because the Conservative/ Lib Dem coalition scrapped the Schools for the Future programme almost at the point that Notts Schools were due to receive funding. Bramcote Neighbourhood Forum’s consultation responses showed strong support for replacing both the school building and the leisure centre with funds generated by the sale of the Coventry Lane playing fields, currently in the green belt. The sacrifice of green belt only to pay for a replacement school received very very little support. The Forum is working on a way to protect the continuity of the green belt in Bramcote through provisions in the Neighbourhood Plan and suggestions for the upcoming review of the Broxtowe Local Plan Part 1 – the aligned core strategy. As a Bramcote resident, I have either JUST received my excellent, and very professional copy of the Consultation, or it was lurking at the bottom of my letter box all these many months. 200 + responses out of an electorate numbering <6000. Huge effort went into achieving these responses, and every congratulation for that, but a SIGNIFICANT response? I THINK NOT!. The people of this area, and others who visit here, who benefit from our open green space, are being punished by representatives who caused the problem (Gove's 'austerity' decision) and our local council who professed to protect and then rip up those promises. We have a chance to take relevant action against those who broke their word in the local elections soon. How is the target figure arrived at? Has anyone challenged it? There are many empty homes left for years. I can name three just in my small street alone! The target figure was set by Broxtowe Borough Council as part of developing the Aligned Core Strategy published in 2014. I agree with you that based on the past five years of housing completions the figure is too high and is unlikely to be met over the remaining ten years of the local plan. The Aligned Core strategy will be reviewed this September and I think the council needs to revise the figure strongly downward if it is to avoid the dangers of not having a five year land supplly. I popped a replacement copy in your letter box yesterday afternoon. You weren’t around to hand it to and I was on my way to catch a train to see my mum for mother’s dad. It also has to be remembered that when I challenged the decision to rip up Bramcotes’s green belt, the Labour Leader said to the committee that they would build on this site whether there was a new school at the end of it or not. You will note that the Council received some 12 responses on the entire plan and 30 responses on Policy 3.3 Bramcote. In this context, perhaps you can now understand why the number of responses to the Neighbourhood Forum was so welcome. Such engagement is fantastic – though more would be even better.